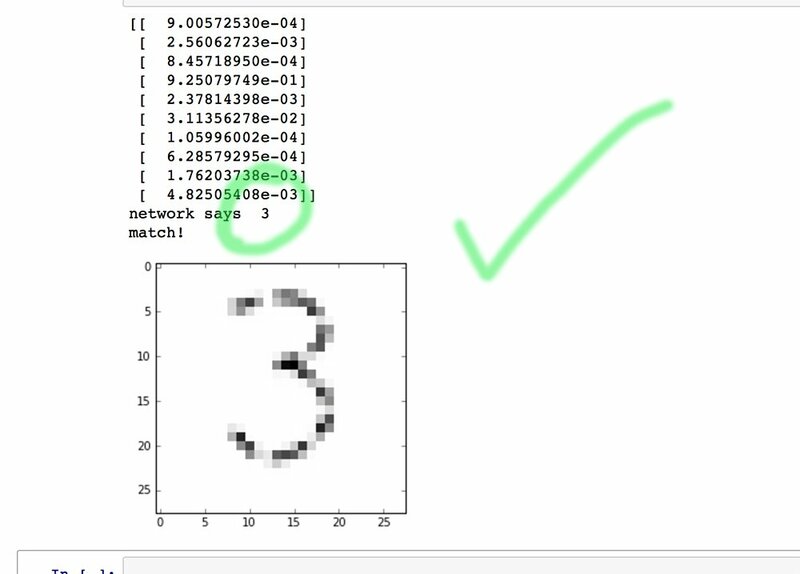 We've trained and tested the simple 3 layer neural network on the MNIST training and test data sets. That's fine and worked incredibly well - achieving 97.4% accuracy! 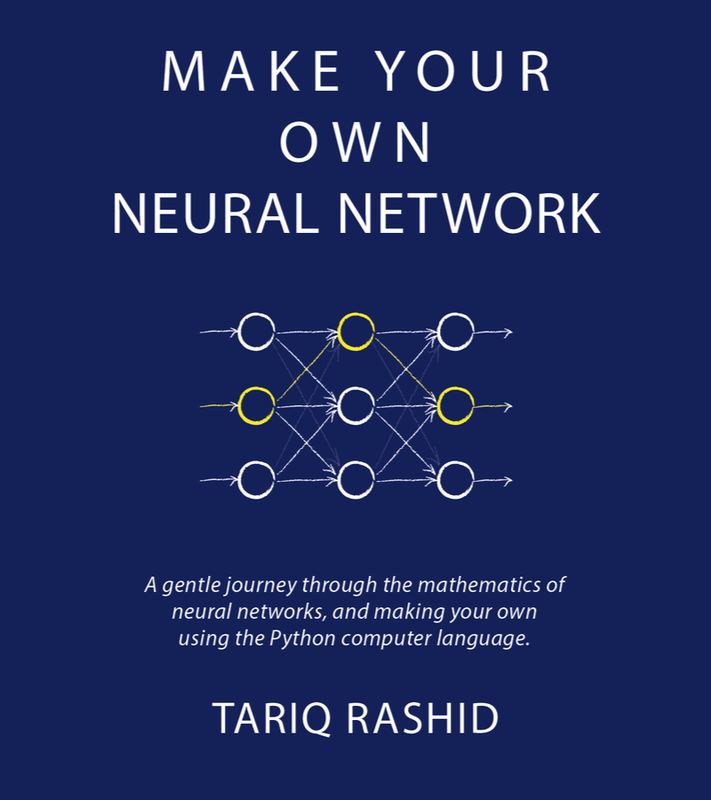 That's all fine but it would feel much more real if we got the neural network to work on our own handwriting, or images we created. The 4 and 5 are my own handwriting using different "pens". The 2 is a traditional textbook or newspaper two but blurred. The 3 is my own handwriting but with bits deliberately taken out to create gaps. The first 6 is a blurry and wobbly character, almost like a reflectioni n water. The last 6 is the previous but with a layer of random noise added. We've created deliberately challening images for our network. Does it work? It works! The following shows a correct result for the damaged 3. In fact the code works for all the test images except the very noisy one. Yippeee! There is a serious point behind that broken 3. It shows that neural networks, like biological brains, can work quite well even with some damage. Biological brains work well when damaged themselves, here the damage is to the input data, which is analogous. You could do your own experiments to see how well a network performs when random trained neurons are removed. 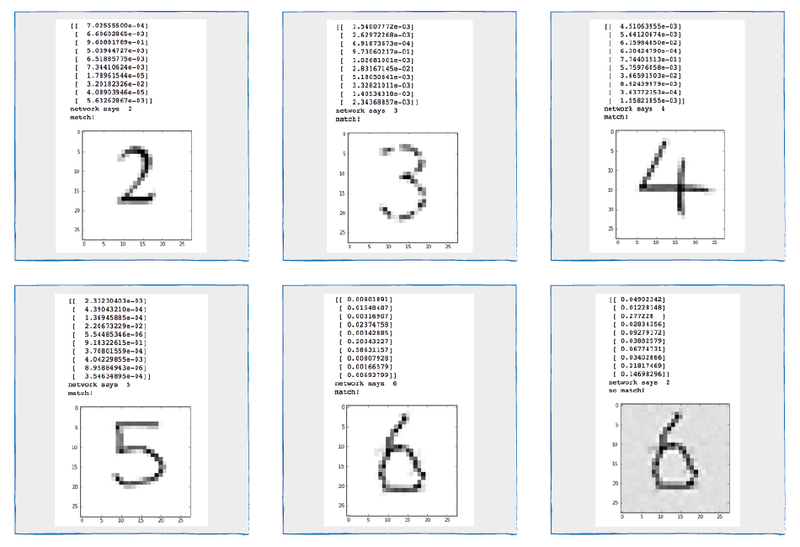 hi - the images in the MNIST dataset are already centred so you shouldn't need to do this. 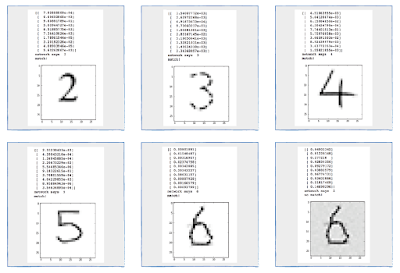 Hi, I want to train dot punctuation mark which isn't part of MNIST dataset, as I want to recognize decimal numbers. 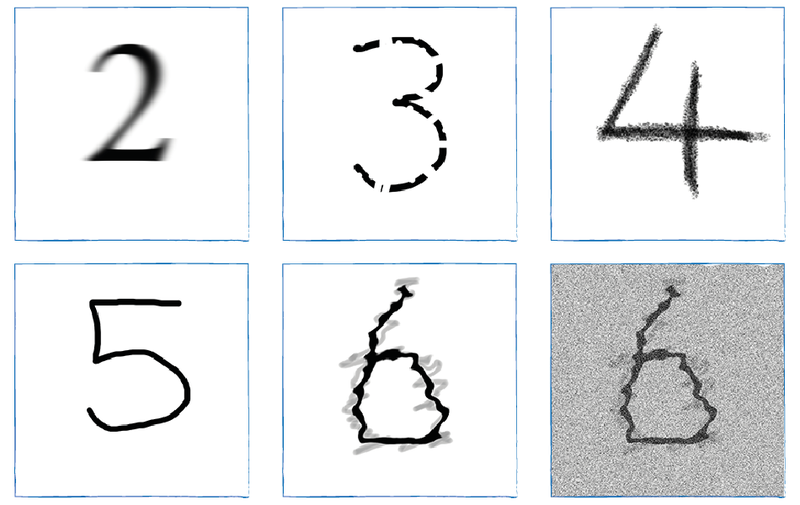 I need to train those images, for that I want to convert them to MNIST format (dealing with re-centering, normalization etc.). Can you give me suggestion how to do this? Hi Partho - great question! The hardest part will be extracting the dot from a longer string. If that is already done, then as you say, you need to centre and normalise. Centering is important, as is scaling. Scaling could ve done in several ways .. you might try to find a bounding box and rescale that to be in tech middle 75% of the image. Or you might want to recognise that a decimal is smaller than normal digits and keep that relative scale. 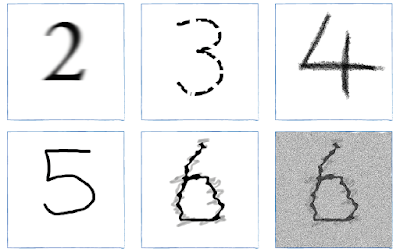 If you need libraries to help you, ooencv does this sort of image analysis.